Traditional dieting relies on the ability to go numb or to override physical and emotional feelings. Overeating is a self-calming compulsion similar to OCD -- dieters turn to food (and lots of it) when they're deprived of comfort. Overweight people can reverse the brain-body programming that is making them fat. Instead of attacking their bodies, they can learn to support them. Dr. Beck helps you to think thin and end your compulsion to overeat, and includes a Jump-Start weight-loss program that will help you shed pounds in the best way, both psychologically and physically. 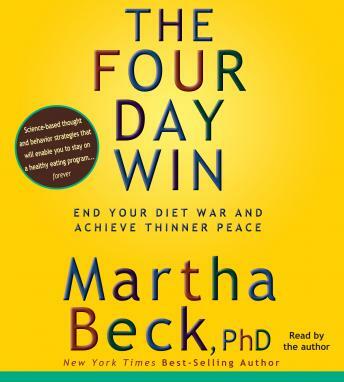 An inspiring and enlightening challenge to everything you think you know about losing weight, The Four-Day Win provides you with an easy and fail-proof way to change your life.